An old convent built under the orders of the Reyes Católicos and set within the walls of the Alhambra. 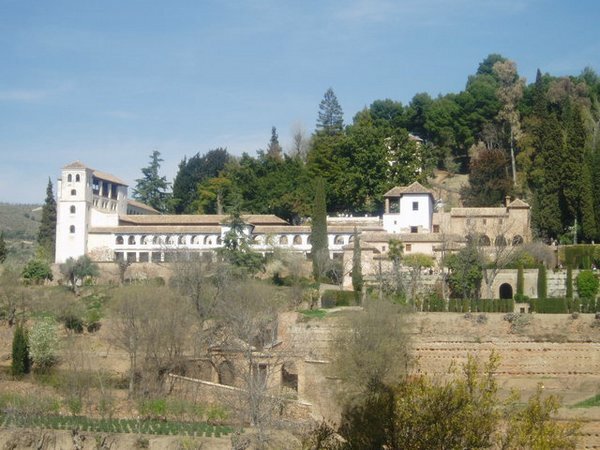 Some of its rooms have excellent views of the Generalife, the Secano gardens and the Albaicín. This hotel, built in 1860 and completely renovated in 2004, has 16 rooms over 5 floors. Situated in the heart of Granada's historic centre its location makes it ideal for sightseeing. Although very modern some of the rooms are very small. It has 14 doubles and 2 suites. There is a café on the first floor. The hotel offers guests 24 hour internet connection on one of its computers placed in a communal area. It also has a small outside terrace where guests can take a relaxing break. Ideally suited to younger travellers. Reminiscent of a small Mudéjar village - it has its own Mediterranean style chapel. The different areas of the hotel are connected by picturesque paths, beautiful patios and an impressive line of marble columns. Covering an area of approximately 35 hectors with hills and extensive forests of oak, olive and almond trees. The hotel has 62 rooms all different both architecturally and in their decoration. Luxury service. 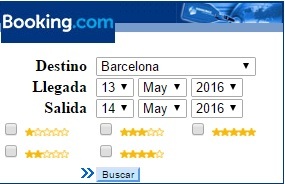 This NH hotel is located in the centre of Granada near all main sights. Housed in a lovely nineteenth century building which was recently renovated, its is one of the NH hotel chains Collection hotels. Elegant decor, comfortable rooms and excellent standard of service from very friendly staff. Carpark (extra fee), Internet services, a good restaurant serving lunches and dinner and a very good breakfast buffet.